An essay posted in four parts. Originally published in Irreantum as an entry for the 2011 Charlotte and Eugene England Personal Essay Contest. The deadline for the 2012 contest is May 31. It’s an hour or so from sunset when we pile into the jeep – me and my roommate Stacey, her friend Dave, his friend Tim, and a couple whose names I can’t remember, who Stacey and I squeeze next to in the back seat. It’s the beginning of my sophomore year at BYU, early September, 1990—a few weeks since I met Reed, the man who becomes my husband eighteen months later. I’d rather be with him on this Friday night and I regret promising Stacey that I’d come along for a caving trip west of Utah Lake. Tim starts the jeep and I search in vain for a seat belt. The warm air pushes against my cheeks as we pull onto I-15 south and Tim accelerates to freeway speed. He pops in a cassette tape and Led Zeppelin blasts from the stereo speaker, reminding me of humid East coast nights after high school graduation. I first heard the music years ago, vibrating through my brother’s bedroom door; I stole his cassette tapes and listened to them lying on my bed, using a battered Walkman with foamy earphones. The tapes came with me to Provo, where I sat under a tree next to the freshman dorms with my Walkman blaring “Whole Lotta Love,” wondering if I’d ever find my place in the high Mormon desert. A long year later, I’m finally catching glimpses. When we hit Santaquin and leave the freeway for Route 6, I boost myself to sit above the jeep’s backseat, knees over the headrest, hands gripping the black foam padding of the roll bar, hair whipping in the wind. The western horizon glows rose pink as we leave Route 6 for Highway 68, driving north to Elberta. After the 7-mile turnoff there are gravel roads and cattle gates, then the rise of Blowhole Hill, which houses Nutty Putty Cave. When Stacey told me about the cave I pictured an arched hole in the side of a mountain, with damp passages leading past formations of stalactites and stalagmites, icicles of rock formed by dripping water. But when the jeep stops we’re nowhere near a mountain. The hilltop is barren with dead scrub brush and croppings of broken rock. I have no clue where the cave might be, but I’m too cool to ask. Tim leads the way toward what looks like a moon crater ahead, and as we approach I see a black hole in its middle. The cave opening. Apparently, going in means going down. Dave and Tim go first, lowering themselves from boulder to boulder into the darkness split by flashlight beams from above. They spot the rest of us as we climb down, and as I descend I feel the thin, dry air of the hilltop swell with moisture, which soon dampens my lungs like a swampy Maryland night. Once we’re all inside Tim points the way forward; ducking our heads, we follow him through a tight passageway that narrows to an opening barely big enough for an average-sized college kid to trespass. We get down on our stomachs and wriggle through the opening in a long-forgotten primeval motion, and I’m surprised by the ripped piece of carpeting that pads the bottom of the tightest place, evidence of the modern world we’ve left behind. We emerge into a more manageable space known as the “Big Slide,” a sloping cavern studded with boulders that we scramble over on our way down, grateful for thick jeans and long shirtsleeves that shield our tender flesh. The cavern walls are close enough to touch with both hands and we move single-file, feet first, pulled by gravity deeper and deeper into the earth. Fifty yards ahead, the cavern widens into a pocket of space, the “Big Room,” where we sit and rest on the bedrock. The damp air makes the flashlight beams opaque. At one point Tim and Dave turn off their flashlights and we plunge into utter darkness, thick as ink. I can’t see my hand in front of my face—I’m not sure it even exists. I would doubt that I existed at all, that anything existed, were it not for my voice bouncing off the rock walls and returning to the twisting cavern of my inner ear. I tamp down my panic and crack jokes as a way of whistling in the dark. I’ve seen stars before, of course. As a child I spotted the Big Dipper on Brownie camping trips, and slept beneath a twinkling sky on our family sailboat, and saw scattered white glimmers over the night-black Atlantic during our yearly trips to the shore. But even when far removed from the ambient light of the cities and the suburban sprawl, I never saw anything like this. I have never seen this inverted bowl of blackness pricked by a billion points of blue-white light. I have never seen heavenly bodies flowing in currents like a brilliant river, the milkiest of ways. And if I hadn’t followed Tim down into the cave I wouldn’t be seeing it now, either. Something similar, yes. And still impressive. But only to one emerging from the dank bowels of the earth could the world be this vast, this clear, this fresh and bright and wild. 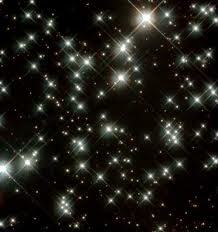 What shocks me most is realizing the stars were already there when we descended into the cave. They were there as we drove along Highway 68 and Route 6 and I-15. They were there when the sun peaked at noon and when it peeked at dawn. As I continue to stare, the gears of the universe shift and the earth slowly rotates, making the stars whirl around and above my head, like a diamond kaleidoscope spun by the hand of God. “A diamond kaleidoscope spun by the hand of God”!